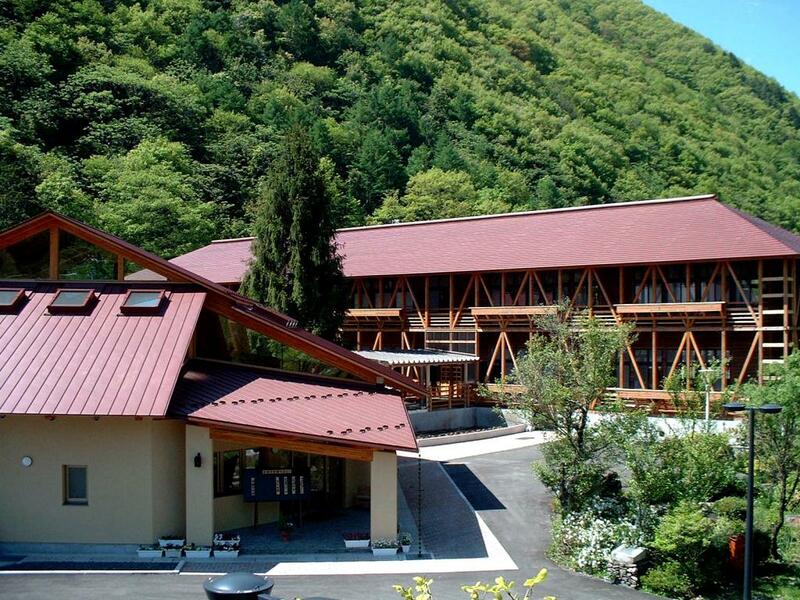 Located in an old wooden schoolhouse in tucked in between mountains in the scenic Kiso River Valley, the Activities Hall offers a full menu of activities to experience the area's distinct culture and traditions. Options include cooking classes to make some local dishes, traditional craftwork, forestry and agriculture-related activities, interpretive nature walks, history lessons and more. The on-site restaurant "Shiki" (Four Seasons) offers soba noodles made from freshly-ground buckwheat grown in Kiso as well as the local specialty, bite-sized 'gohei-mochi' sticky rice grilled with a sweet sauce made from 'egoma' grown in the Activity Hall's garden. The wide range of activities appeal to children and adults alike. Closed Wednesdays as well as during the winter. # of participants possible depends on the activity but many of the cooking, carpentry and craftwork activities can handle large groups. For example, the soba noodle making can accommodate up to 60 participants. From Kiso Fukushima Station (JR Chuo Line), 20 minutes by bus. From Ina IC, 36km, approx. 45 minutes. From Nakatsugawa IC, 66km, approx. 75 minutes.